Have a look at all photos of the event. At TQ, our mission is to help push tech startups towards exponential growth by providing them with the right facilities, community and programming. We’re dedicated to turning this bold mission statement into a reality. In our first year, we’ve already made significant progress. In October 2016, we started with an empty old bank building. We’ve transformed this 6.000m2 (65.000 ft2) building into a flourishing tech hub which is home to over 200 tech companies right now. We’ve welcomed promising Dutch startups to our community like Homerun and Tripaneer, as well as American hyper growth companies with billion dollar valuations like Stripe and Uber. 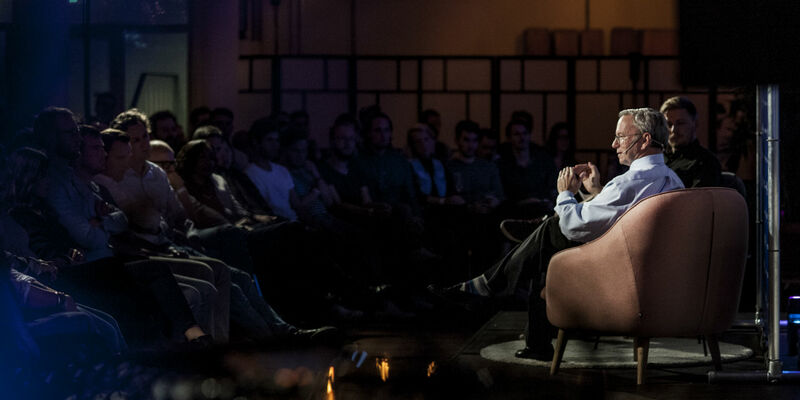 We were incredibly honored to have Eric Schmidt, Executive Chairman of Alphabet, join us at our first anniversary and treat the TQ inner circle to a fireside chat on entrepreneurship.